This project is unique in terms of sustainability as it does not fit the typical uses and building types that the LEED rating system was developed for. The initial sustainable design objective was to incorporate as many sustainable features as practical, but as the design developed, it became apparent that it was possible to achieve much more. The Mount Pleasant Substation is the first BC Hydro substation registered to meet LEED. The Mount Pleasant Substation is the only publicly-visible portion of BC Hydro’s Vancouver City Centre Transmission Project. 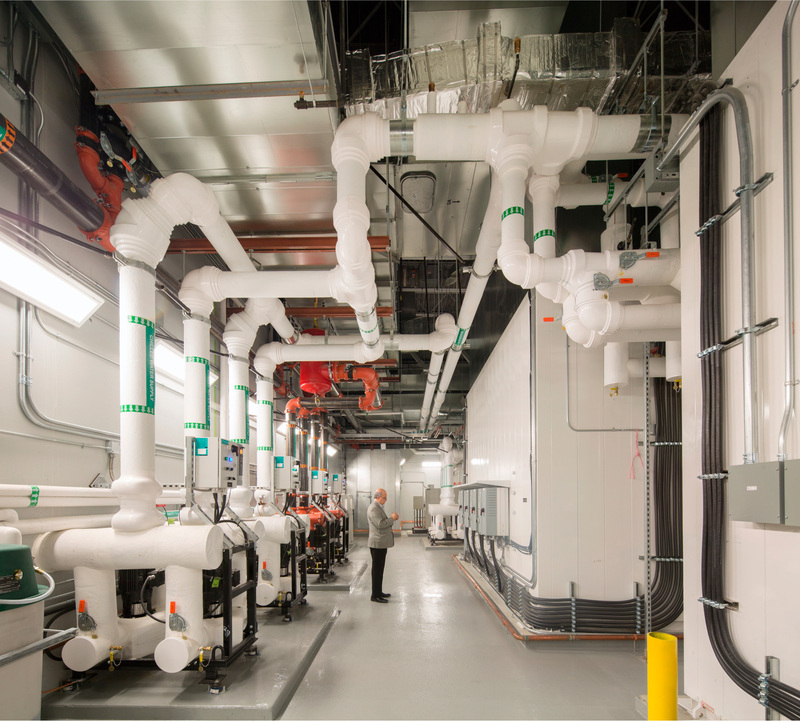 It is an integral part of the most significant investment in central Vancouver’s electrical system in 30 years. Located in a residential neighbourhood, this substation not only provides reliable power, but also satisfies complicated urban design issues, providing an aesthetically pleasing building and addressing sustainability through public consultation and integrated design processes. 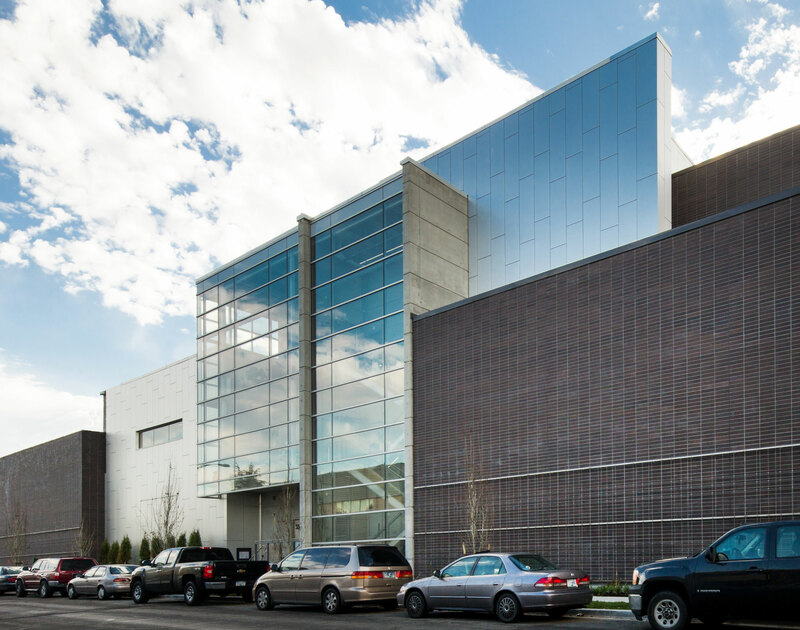 Through a stepped-massing design, creative use of materials, dedicated green space and public art, the building fits into the urban fabric of its location and is the first substation on record constructed to meet LEED Silver requirements. High reliability after a design earthquake through post-disaster seismic design. An aesthetically pleasing design that meets City requirements and minimizes the impact on the community as well as incorporates durable materials to minimize maintenance requirements. A safe and ergonomic design to ensure the best environment for employees and the public. A sustainable design, resulting in reduced environmental impact and the first BC Hydro substation to achieve LEED Silver status. 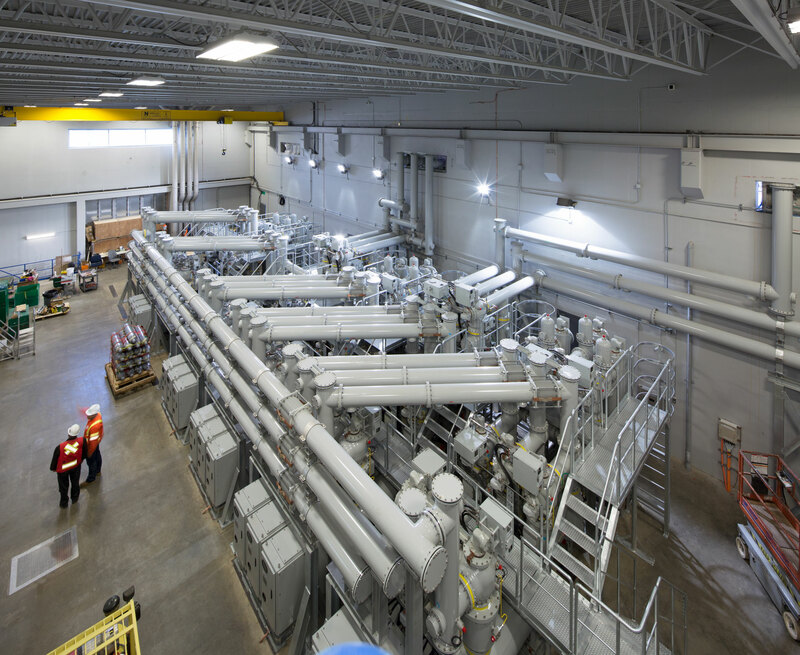 A key aspect of the project was incorporating a large, secure 400 MVA substation in a residential neighbourhood. The area is an Industrial Zone, but contains a number of houses, apartment buildings and low-rise commercial buildings. Traditional substations often have large pieces of metal-clad equipment and exposed conductors inside chain link fence enclosures, but the MPT is much different. BC Hydro wanted a design with minimal negative impact on the community and this was approached in several ways. Since the site is in a downtown area with a mixture of light industry, commercial and residential neighbours, the project needed to relate to the community well. A series of public meetings was used to gain input from neighbours regarding the proposed design and the issues important to them. This public process along with the City Development process helped shape the design of the building. The portion of the building above grade uses different wall planes and finishes to make it appear as several smaller buildings, to reduce the apparent mass. A strip of land on the east of the site was dedicated as green space to preserve the view from a heritage house immediately south of the site and to enhance the greenway down Alberta Street. 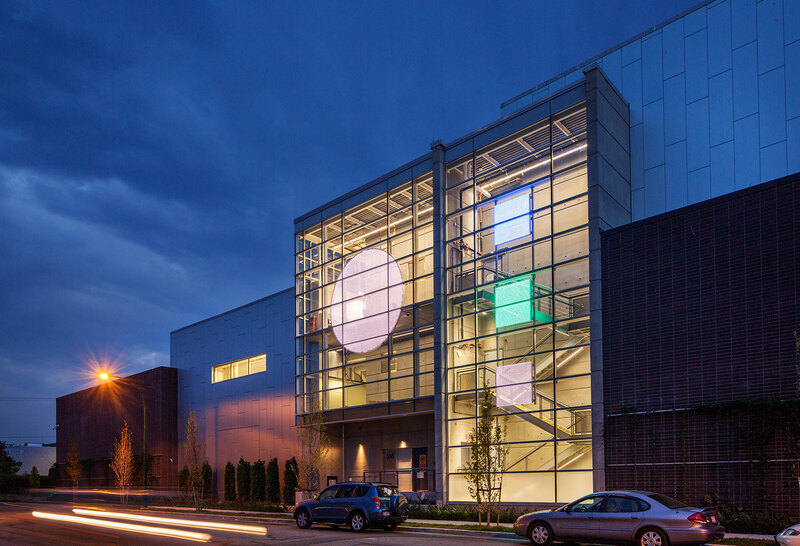 Although BC Hydro typically prefers no windows in substation buildings for improved security, the design team introduced glazing to stair wells and other spaces where it would not compromise security and safety. This makes the building relate more closely to the neighbouring commercial and residential properties. Public art is incorporated into the north elevation to provide interest to pedestrians on 6th Avenue. The display operates during typical waking hours and mimics the electrical load on the substation thorough an interpretive oscilloscope design. A plant training system is installed on masonry walls to create a green wall and soften the building along pedestrian ways. The greatest achievement in the MPT project is that the design satisfies these normal pragmatic and functional aspects, but also satisfies complicated urban design issues, while providing an aesthetically pleasing building, and addressing sustainability through utilization of public consultation and integrated design processes. The resultant design solution has satisfied the high development standards of the City of Vancouver, provided green open space for use by the neighbours, provided visually interesting public art, and a highly sustainable design that will achieve LEED Silver status.